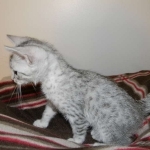 This adorable Silver Egyptian Mau boy will be going to live with Benjamin and family in South Carolina. 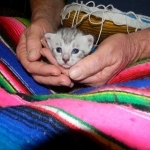 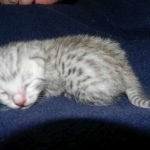 His family have had a Mau before and know that they are the most special of special cats. 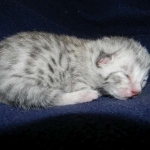 From Zena and Merit's litter this litter boy will be a beauty with a little age. 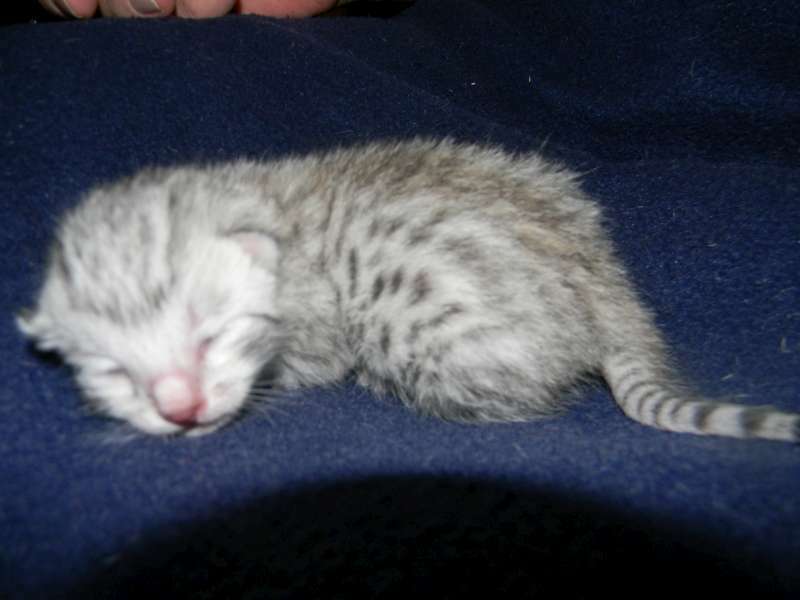 Gotta love that little 4 days old face. 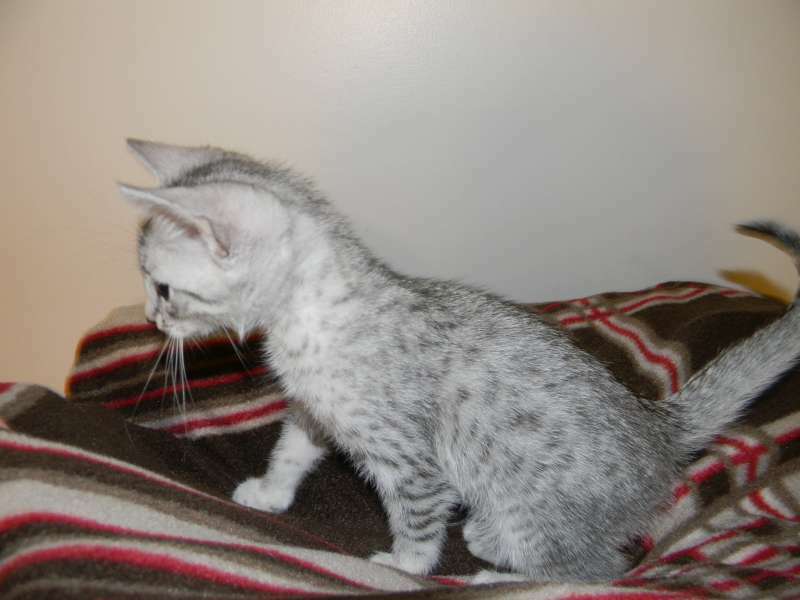 Grow fast now this little Egyptian Mau boy will be up racing around the house in just a little while now! 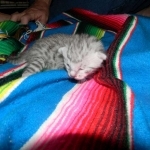 More spots than stars in the sky, this little boy will be a beautiful pet and loving family member. 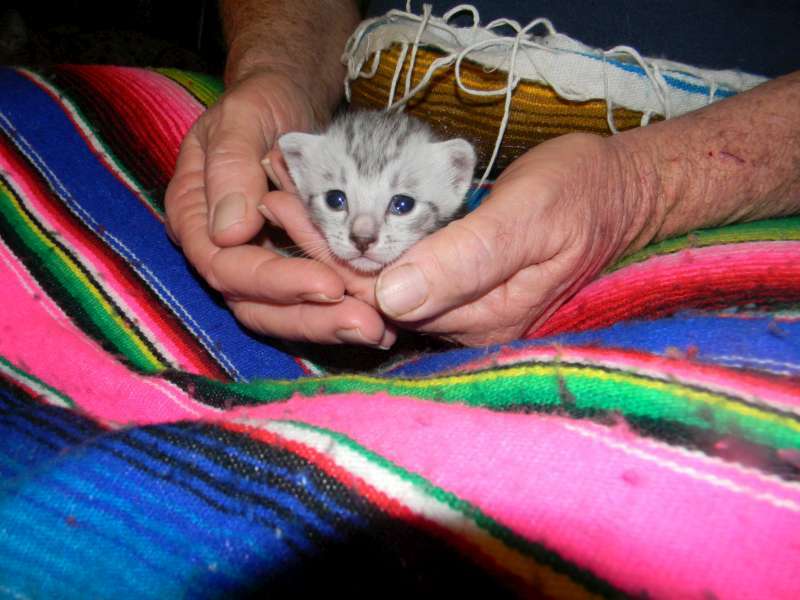 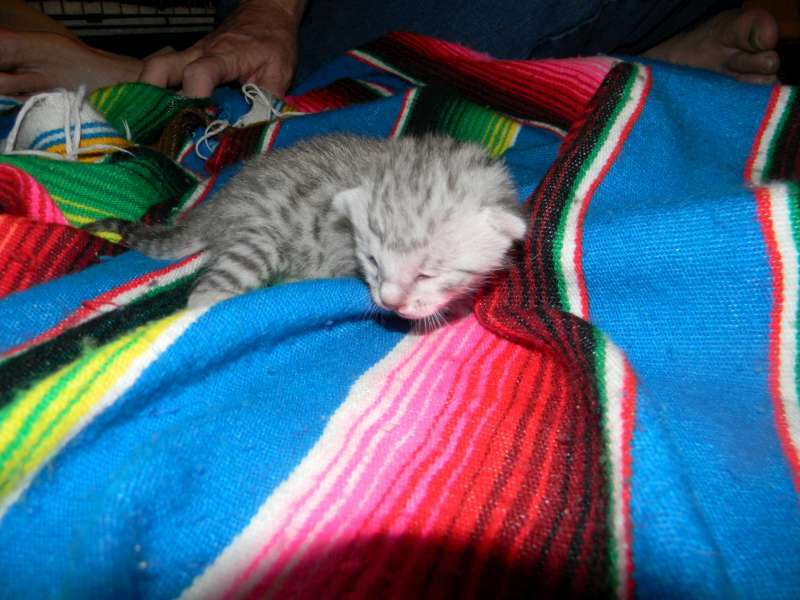 Starting to show off his spots, this litttle silver Mau will be fabulous! 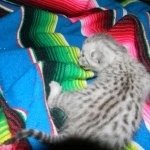 I never get tired of these angelic faces on these little silver maus. 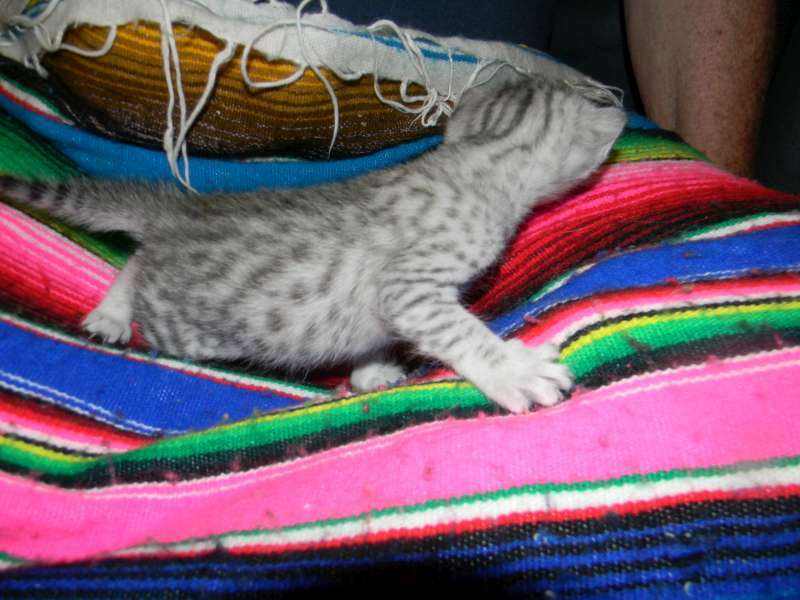 Out to play and explore Merik, silver egyotian mau male, in the foreground, reassures his sister Destiny. 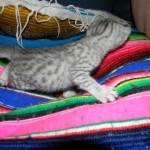 It won't be long now before Merik and his siblings will be weaning. 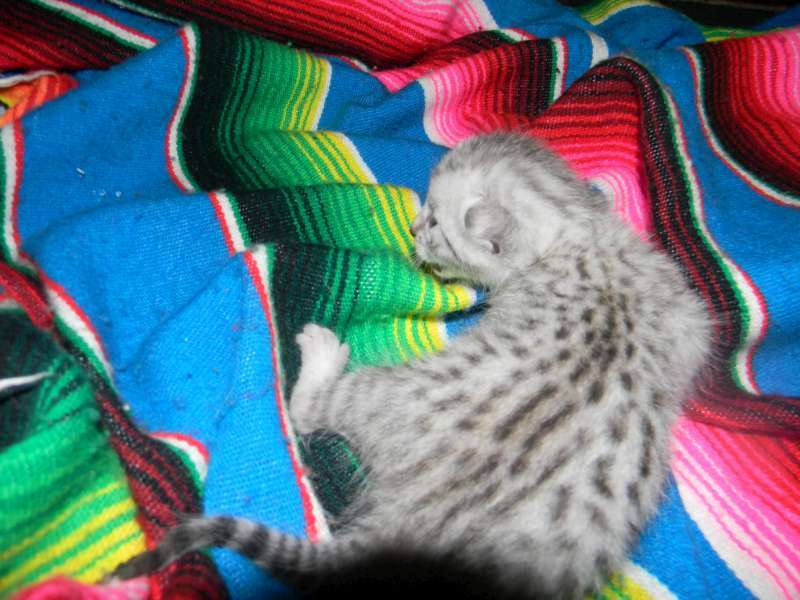 Right now they are in that cute fat kitten stage. 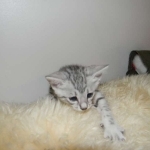 It's really hard to get around in this deep fur! 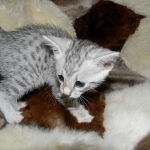 A little unsure in the deep fur of this sheepskin, Merik, silver Egyptian Mau still shows off his spots. 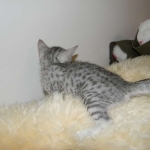 Alway Busy little silver Egyptian Mau Merik just can't wait to get into trouble! 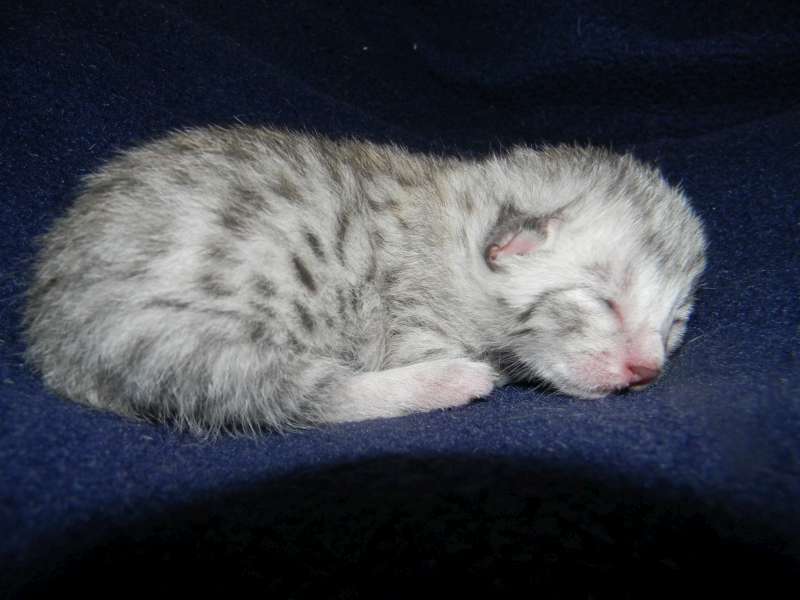 He will be going to his forever home in about 1 week. 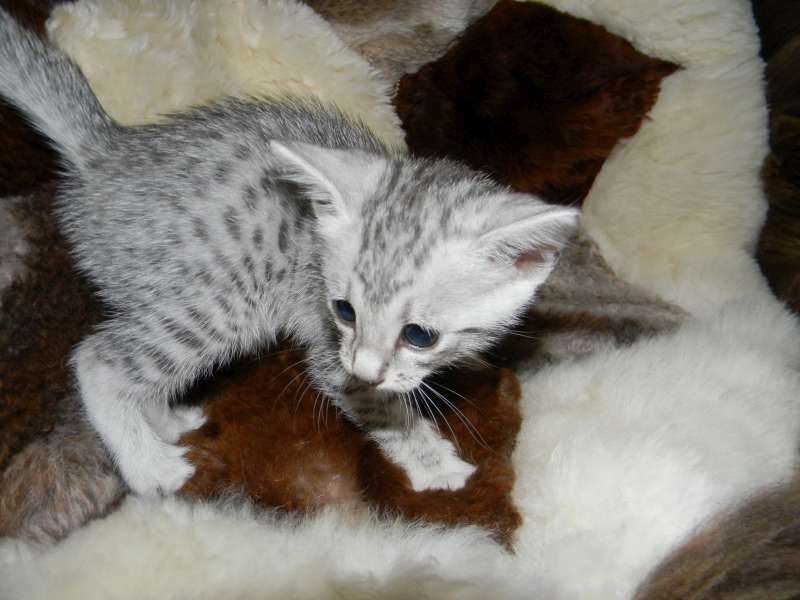 Merik, like his whole litter are just beautiful in thier silver spotted natural pajamas!